Off Land is an ambient project by Tim Dwyer. 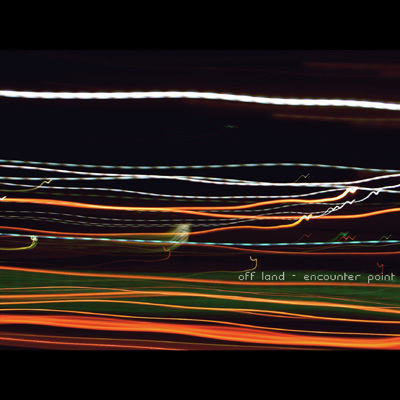 With ambient textures, little field recording snippets, spoken word phrases and classical instruments, Off Land takes place in the space between minimal, ambient and contemporary classical music. 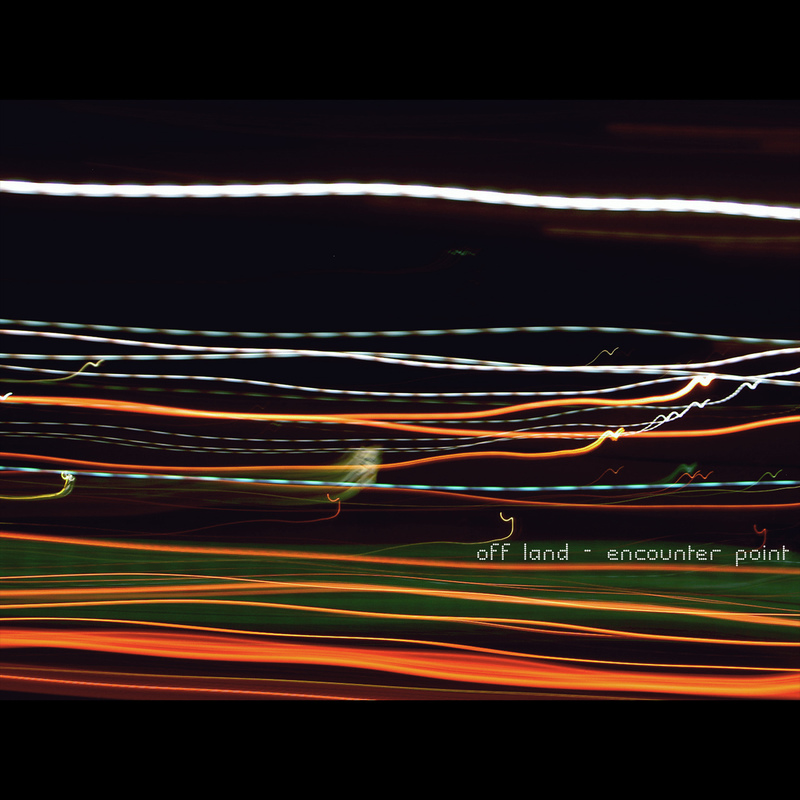 With 8 pieces and 75 minutes duration, “Encounter Point” is a monumental ambient work. All pieces are arranged very carefully and with a great sense for intensity and tension. The single tracks seem quite minimal and pure on the surface, but when you listen carefully, you can hear layers of different sound sources. 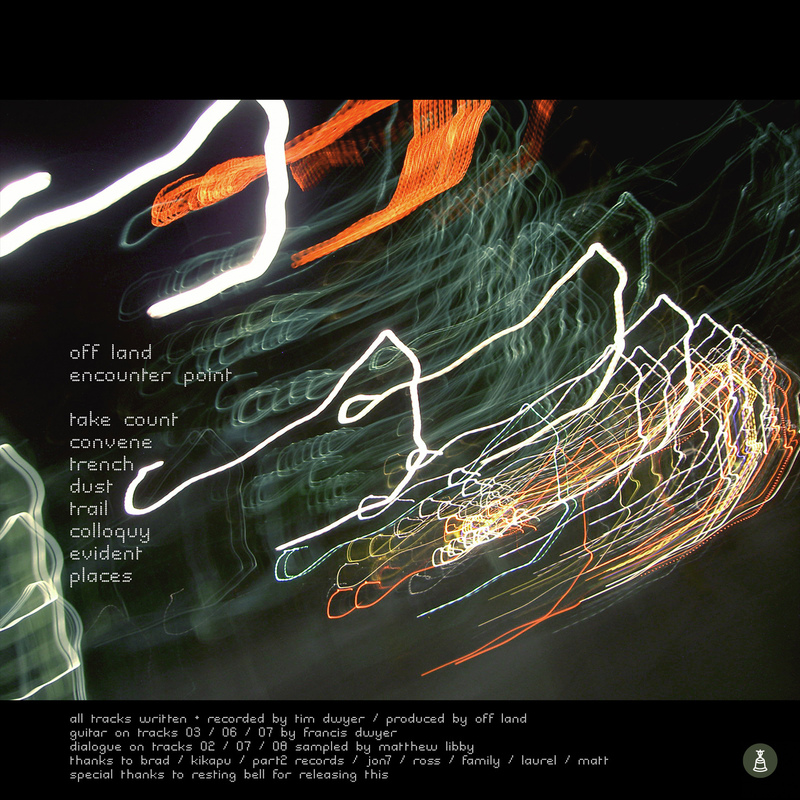 There are outdoor-field recording parts, layered with soft keyboard patterns that fade into a slight beat, combined with a shy guitar melody. Every layer is like a unique story line through the complete work. 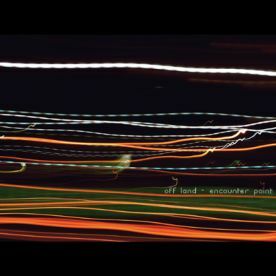 It’s a great acoustic quality when you’ve a huge depth of multiple sounds in the composition which don’t crush you, but instead give you the possibility to explore more and more with each listening.